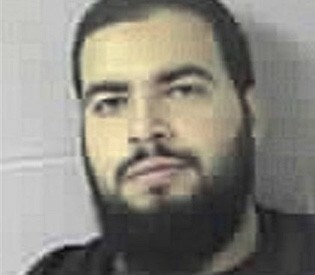 Tarek Mehanna, 27, was arrested on Oct. 21, 2009, in Sudbury, Massachusetts and charged with conspiring to provide material support to terrorists. He allegedly planned to launch terrorist attacks both inside and outside the United States, specifically planning to attack a shopping mall with automatic weapons. Mehanna was a graduate of the Massachusetts College of Pharmacy and Health Sciences (MCPHS), where his father Ahmed teaches chemistry. Comments: (1) I believe this step is unprecedented for an educational institution in the United States (though it is quite routine at banks). (2) Banning niqabs and burqas is an excellent security measure and one that all educational and other institutions should follow. Indeed, every "head covering that obscures" every face should be banned in every public space. For dozens of reasons why, see my weblog entry, "Niqabs and Burqas as Security Threats." 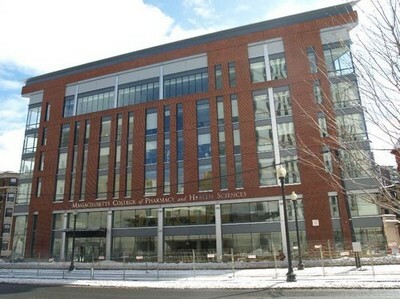 The Griffin Academic Center, MCPHS's newest building. As of January 1, 2010, the MCPHS Identification Policy will be revised as stated below. Language in blue font indicates changes in the policy. * Human Resources (HR) will be communicating with faculty and staff shortly regarding a similar change to the HR employee identification policy. Thank you for your attention to this policy change. For reasons of safety and security, all students must be readily identifiable while they are on campus and/or engaged in required off-campus activities, including internships and clinical rotations. Therefore, any head covering that obscures a student's face may not be worn, either on campus or at clinical sites, except when required for medical reasons. In addition, all students are required to wear their College-issued ID at all times when on campus and/or engaged in required off-campus activities, and to show such upon request of a properly identified official or member of the MCPHS staff. Loss of an ID Card should be reported immediately to the MCPHS Department of Public Safety. The fee to replace an I.D. card–for any reason– is $10; application and payment for replacement is made at the Office of the Registrar. The I.D. card also serves as the College library card. Michael Ratty, a college spokesman, said the policy was developed in the fall during the school's annual review of its public safety procedures and was unrelated to the arrest of 2008 graduate Tarek Mehanna. "It is not directed to any group or individual. It applies to all students and faculty," Ratty said. Ratty said the school believed everyone entering the small Boston campus should be able to be properly identified. But then the next sentence puts the lie to this pretence: "He said the college discussed the policy with Muslim students and officials at the Saudi Arabian Cultural Mission, and all understood the need for the change." Lindsay checked with "Security on Campus," described as a nonprofit that advocates for safer college campuses, which said it had not heard of similar policies at any other U.S. college. And of course Ibrahim Hooper of CAIR gets his say: "If you can get on an airplane wearing a face veil, you can go to class at Massachusetts College of Pharmacy wearing a face veil." And so do I: "I think the college was alerted to the dangers that could come from its student body by the arrest of Tarek Mehanna ... and realized that it needs to take preventative steps to protect itself, its student body, its staff." Comment: If institutions must pretend they are not addressing the niqab and burqa, that's okay with me, so long as they do ban these dangerous tools of criminality and terrorism. Jan. 5, 2010 update bis: The Boston Globe picked up the story and gave it an almost predictable twist, "College's ban on veils draws flak." Ratty provided the Globe with an even more categorical quote about the decision to ban face coverings: "Unequivocally, it has nothing to do with" the Mehanna case. He also indicated that two people at the college would be affected by the ban, that officials met with them both, and they agreed to comply with the new regulation. Nonetheless, Sarah Wunsch of the Massachusetts branch of the American Civil Liberties Union called the policy "puzzling and possibly illegal." And Hooper is again quoted, this time declaring that the policy is "designed to specifically target Muslims." Jan. 6, 2010 update: The Council on American-Islamic Relations announced it plans to file a third-party complaint to the Equal Employment Opportunity Commission: "We believe this policy has a disproportionate impact on the religious rights of Muslim employees and is in violation of Title VII of the Civil Rights Act of 1964, which prohibits employers from discriminating against individuals because of their religion in hiring, firing and other terms and conditions of employment." 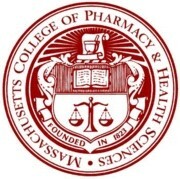 Jan. 8, 2010 update: MCPHS has reversed course, CAIR won this round: "We will achieve our objective of campus security while allowing for a medical and/or religious accommodation,"the college announced. Dec. 20, 2011 update: Mehanna was quickly convicted yesterday on seven counts of conspiring to provide material support to terrorists, conspiring to kill in a foreign country, of lying to authorities, and of using his Arabic to access Al-Qaeda documents and inspire others to jihad. The verdict also found he went to Yemen for paramilitary training to carry out jihad against American soldiers fighting in Iraq. His sentencing takes place on April 12; he faces up to life in prison. Apr. 12, 2012 update: Judge George A. O'Toole, Jr. of the U.S. District Court in Boston sentenced Mehanna to 210 months (=17 1/2 years) in prison, to be followed by seven years of supervised release. 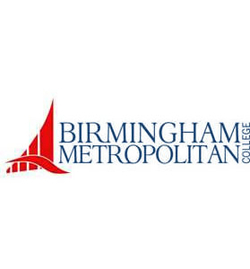 Sep. 13, 2013 update: For a near-repeat of this story, read how Birmingham Metropolitan College in England banned the niqab and then reinstanted it, despite Prime Minister David Cameron and the Department for Education endorsing the college's right to such a policy. The college initially required students to remove hoodies, hats, caps and veils to ensure that individuals are "easily identifiable." But then it announced a modification of policy "to allow individuals to wear specific items of personal clothing to reflect their cultural values".